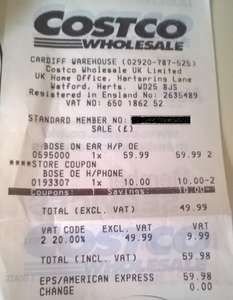 Bose OE headphones in store at Costco Cardiff for £59.98 which is an in-store offer showing £10 off. Not sure if these are available at this price in other stores. Black with silver headphones only - no white ones available. Comes with a couple of detachable audio cables, and a carry case. The headphone fold for ease of portability. 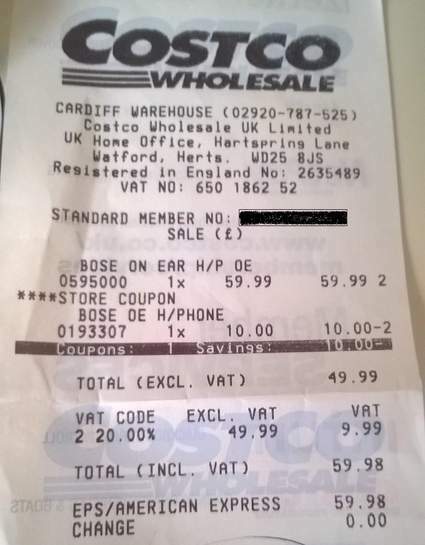 Receipt shown for confirmation of deal.